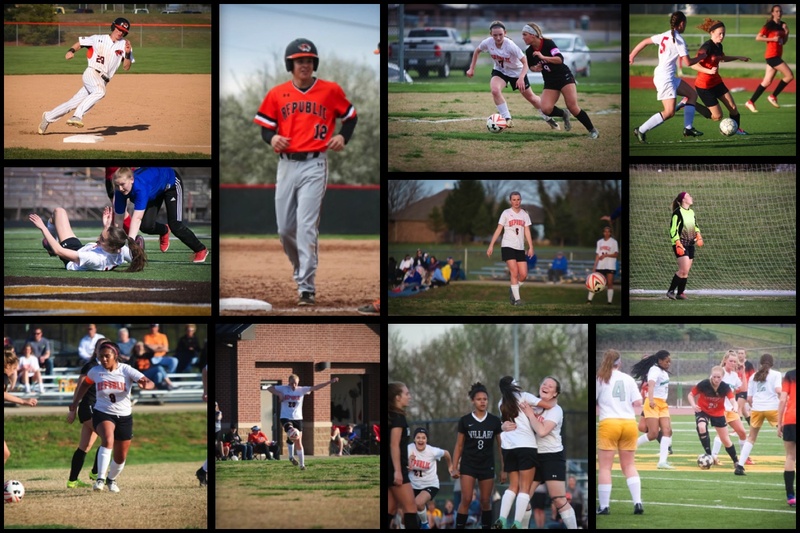 Two Republic baseball players and five girls soccer players earned all-conference honors this spring. Four other Lady Tiger soccer players were named to the all-district team. Pitcher A.J. Calhoon and outfielder Cameron Beck were both named to the All-COC second team. Calhoon had an earned run average of 1.67 in 42 innings pitched. He struck out 63 and walked 20. His win-loss record was 6-2. At the plate, Calhoon hit .309. Beck led the Tigers in hitting with a .338 average and an on-base percentage of .411. He scored 22 runs and drove in 22. Beck also pitched 37 2/3 innings with an ERA of 3.72. Freshman forward Clara Fronabarger and junior defender Grace Lightfoot earned first-team all-conference honors. Fronabarger led Republic with 23 goals and added seven assists. Lightfoot was the anchor of Lady Tigers’ back row, which allowed only 22 goals all season, smashing the program’s previous record of 30. Tara Campbell, the goalkeeper who backed up the defense, was a second-team all-conference selection. So were juniors Anna Jones and Madi Mitchell. In Class 4, District 11, nine Lady Tigers earned post-season honors. Lightfoot, Jones, and Fronabarger were first-team picks. Mitchell, Campbell, and freshman Regan Holmes were named to the second team. Seniors Kayla Donjuan and Signe Wulff, and freshman Sarah Hicks, earned honorable mention.